[Lake Stevens, WA] – At 2:19 PM fire crews from Lake Stevens Fire, Everett Fire Department and Snohomish County Fire District 22 were dispatched to a report of a residential fire at the 3400 block of 99th Drive SE. When firefighters arrived they found an active fire in a single residence with the fire spreading into the attic. Firefighters worked hard to control the blaze and keep the fire from spreading to the rest of the house and neighboring homes. It took crews 50 minutes to fully extinguish the fire. The residents of the home were outside when crews arrived; two adults and a child. One resident sustained 2nd degree burns while trying to extinguish the flames with a fire extinguisher. The patient, a male in his 30’s, was treated at the scene and transported to a local hospital in stable condition. There were no other injuries to citizens or firefighters. 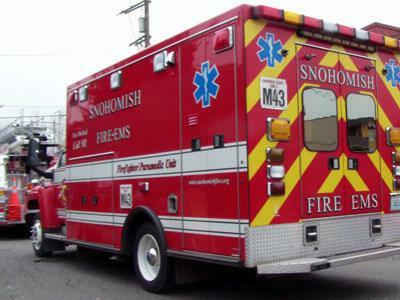 The Snohomish County Fire Marshal is investigating the cause of the fire.